It is cookbook review time again and I have a winner of a cookbook for you today!!! I adore sandwiches but even better are paninis. A quick and delicious dinner awaits you with seemingly endless recipes from this cookbook. Nothing could be faster, easier and more tasty than a well built scrumptious panini. 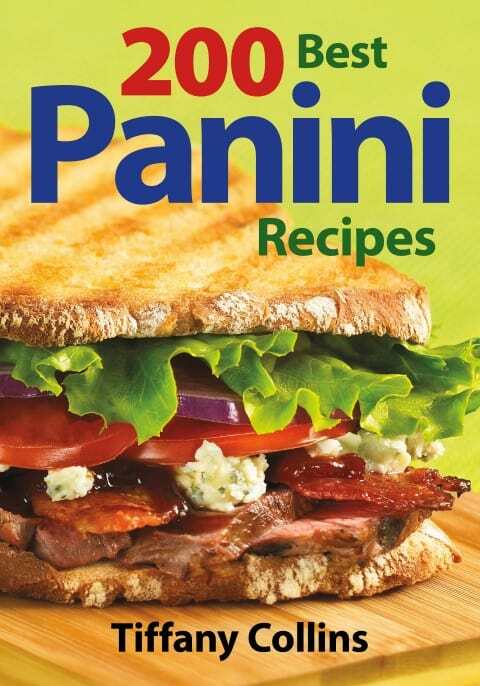 We loved flipping through the pages of 200 Best Panini Recipes to find one to try for you!!! This recipe called for an Italian crusty roll, something I had never tried in my panini maker. With a little adjustment for height, the sandwich turned out amazing. 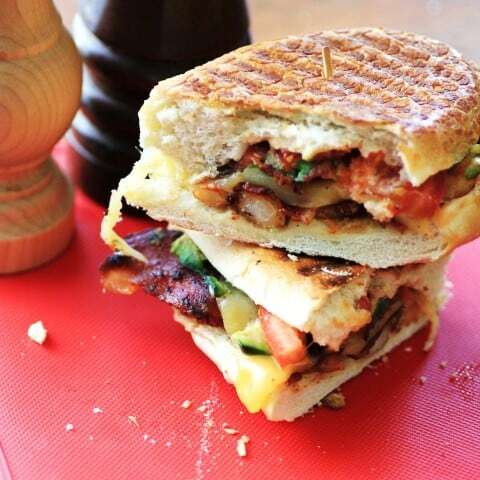 This recipe book has 16 all-new photos to make you drool over paninis. 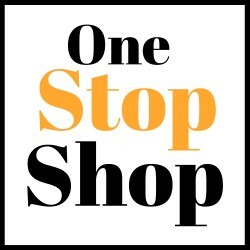 They are an Italian fast food in Italy but seem so much more gourmet with all their wonderful ingredients!! The author has put her own spin on some of the more traditional recipes like the Classic Reuben Panini or the Monte Cristo Panini. 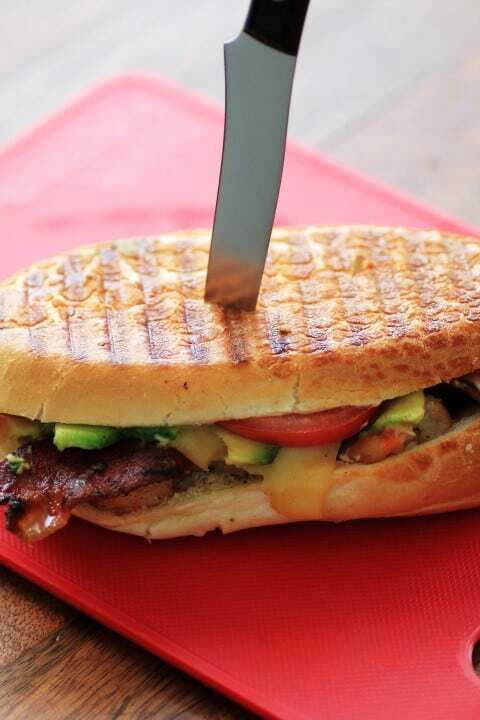 Plus there are so many more that are so creative like the Roasted Chicken, Brie and Pear Panini or the Smashed White Bean, Avocado and Bacon Panini. We will be making so many more from this cookbook for sure!! Look at all the wonderful ingredients that are crammed into this drool worthy sandwich, delicious!! I hope you get this cookbook and try so many more recipes like this fantastic one. ENJOY!!! A panini that is crammed full of wonderful flavors of a club sandwich and then has the gorgeous addition of shrimp. To me, this is the perfect recipe, with the ideal mix of ingredients. Make sure you have extra napkins ready before you bite into this sandwich — you will need them! If you have leftover grilled shrimp from a cookout, they would be wonderful in this recipe. to keep browning to a minimum, sprinkle it with lime or lemon juice. Sprinkle tomato slices evenly with salt and pepper; set aside. Place rolls, cut side down, on a work surface and brush crusts with oil. Turn rolls over and spread with mayonnaise. On bottom halves, evenly layer with shrimp, cheese, bacon, avocado and seasoned tomato. Cover with top halves and press gently to pack. Excerpted from 200 Best Panini Recipes by Tiffany Collins © 2013 www.robertrose.ca Reprinted with publisher permission. The author Tiffany Collins Blackmon is a nationally recognized culinary professional. She has had numerous appearances on shows like Good Morning America, HGTV, Home Shopping Network and E! Entertainment Television. OMG this is my kind of sandwich. I WILL be right over! Thanks so much, it was scrumptious!! This sandwich looks so fantastic! Pinning! Oh my gosh! The panini sounds amazing!! What a great combo!!! Your picture makes the sandwich look juts incredible!! Thanks so much Jennifer, that was quite the delicious sandwich! !